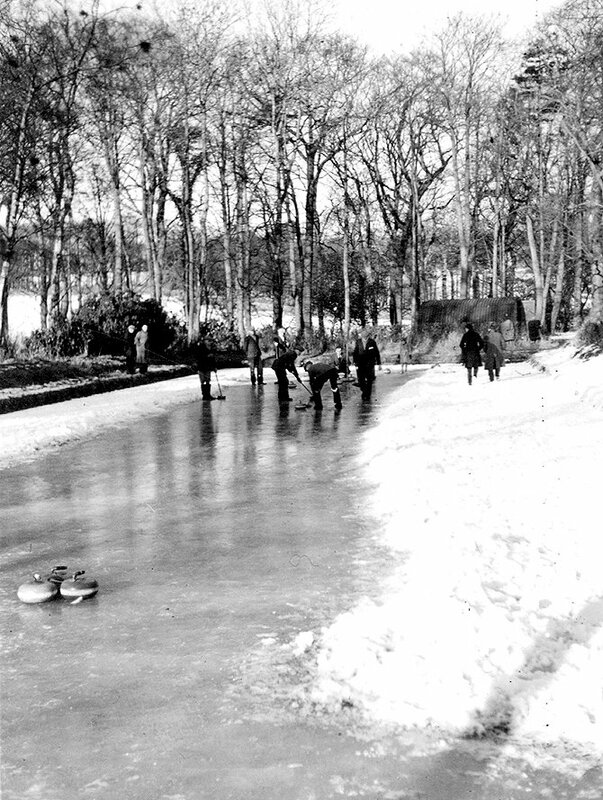 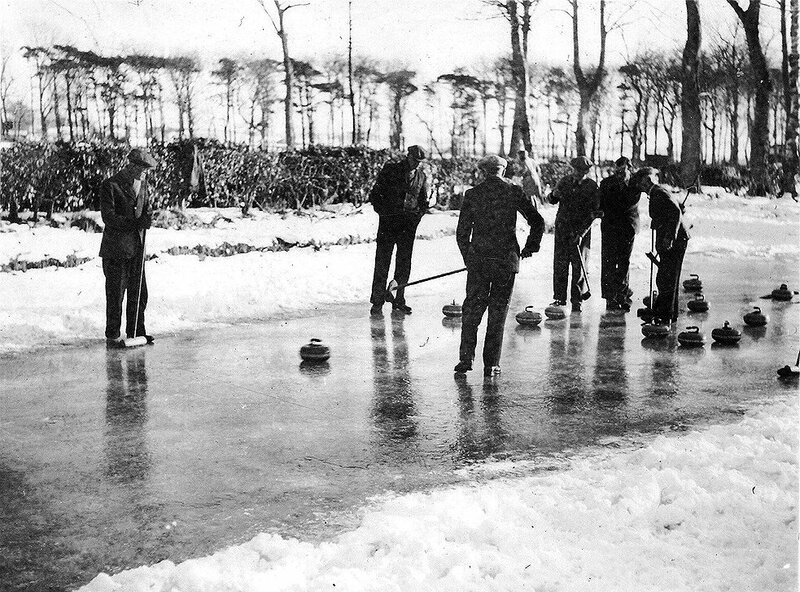 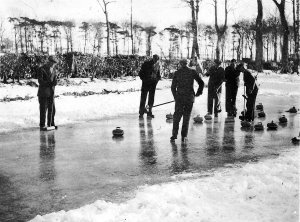 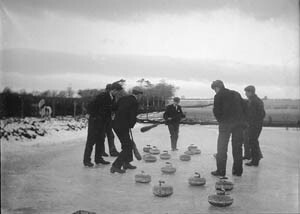 Left: Curling on Mauchline Loch. 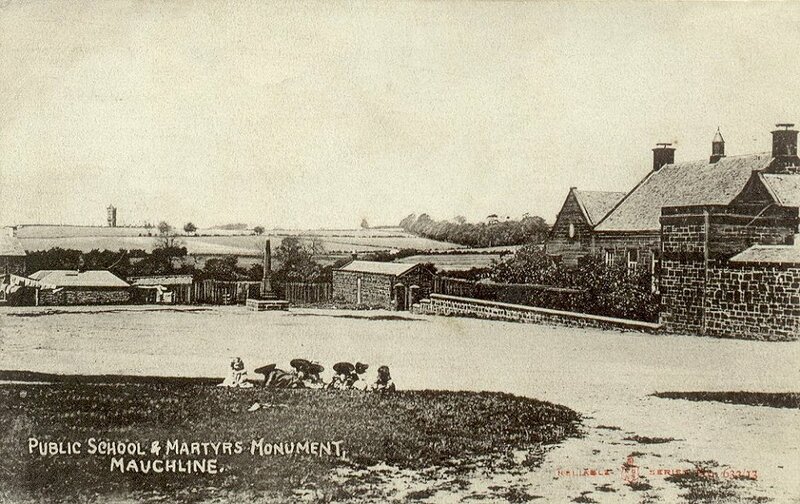 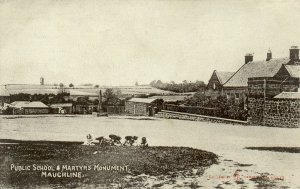 Right: Loch Road area viewed from a distance before there were any houses between the village and the Burns Monument. Above, a couple of curling images from Netherplace outdoor rink in March 1947. 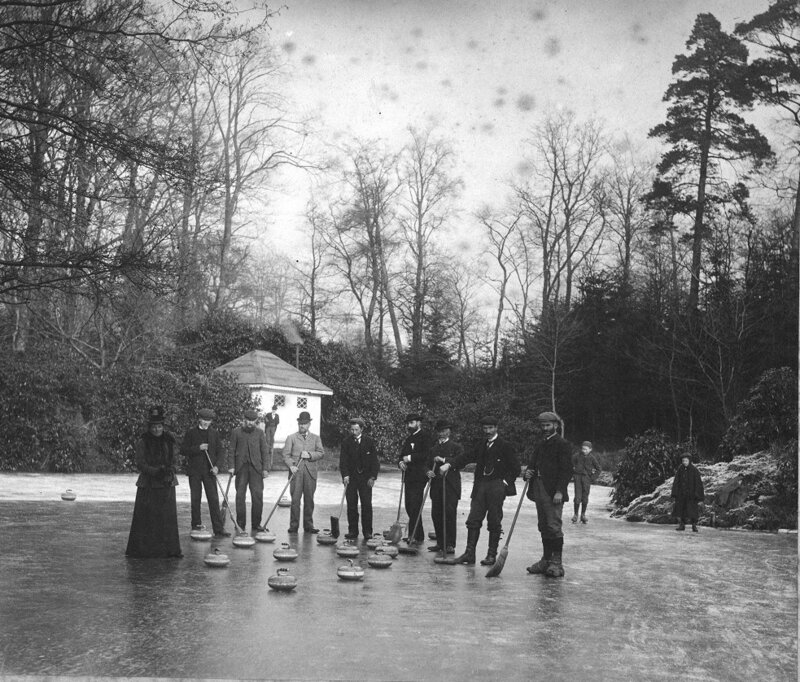 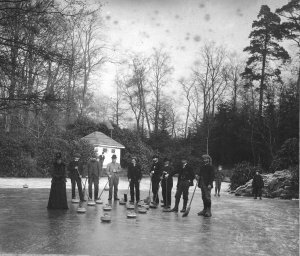 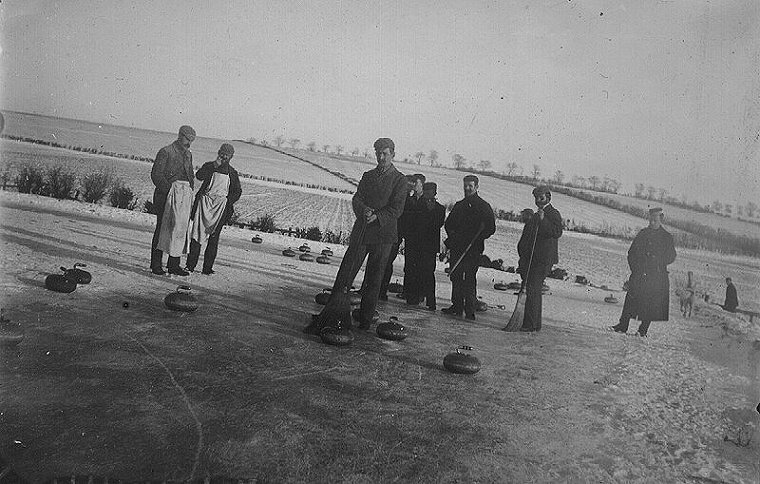 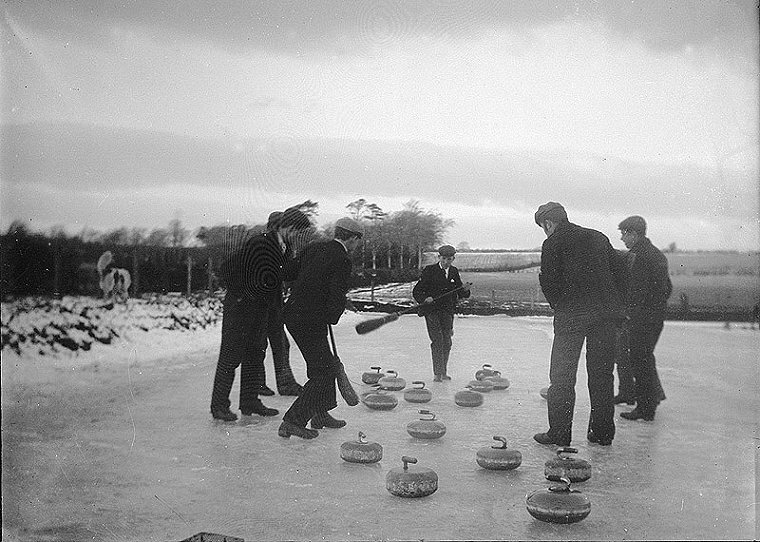 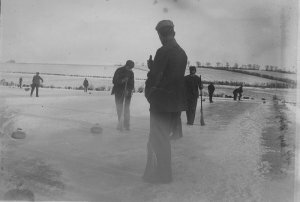 This is a rare image of curling at Easter Smithston, courtesy of Mr Smith. 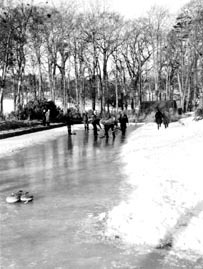 He tells us the image was for a time unidentified until someone recognized the area.